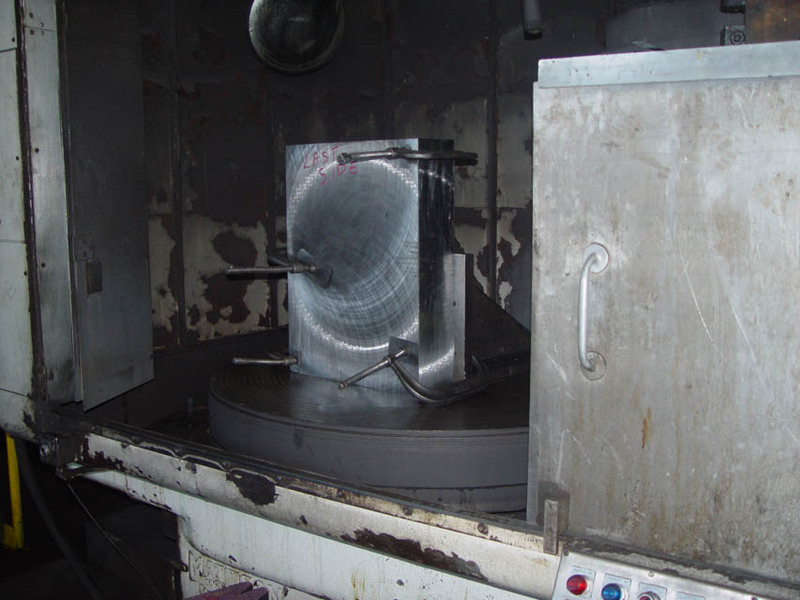 Contact one of our representatives today for more information for your next Blanchard Grinding job. 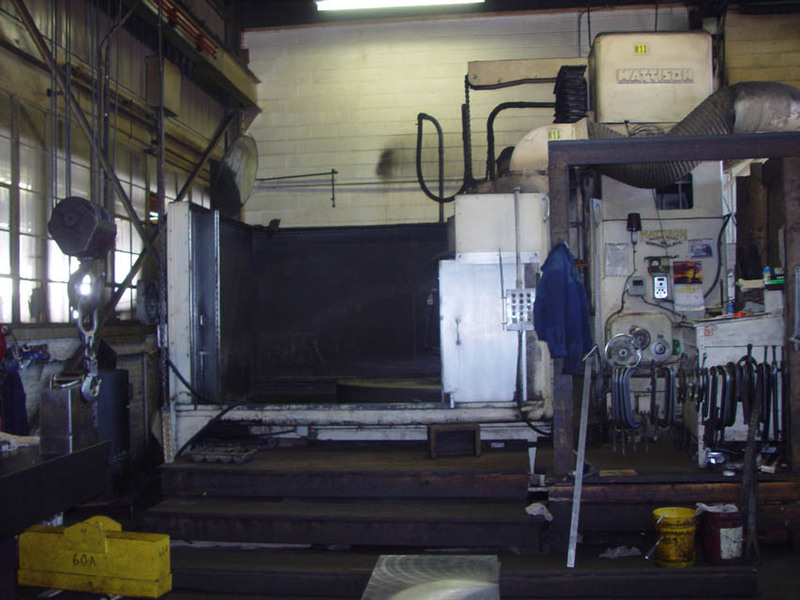 We have various Blanchard machines that can grind a number of different sizes and shapes. 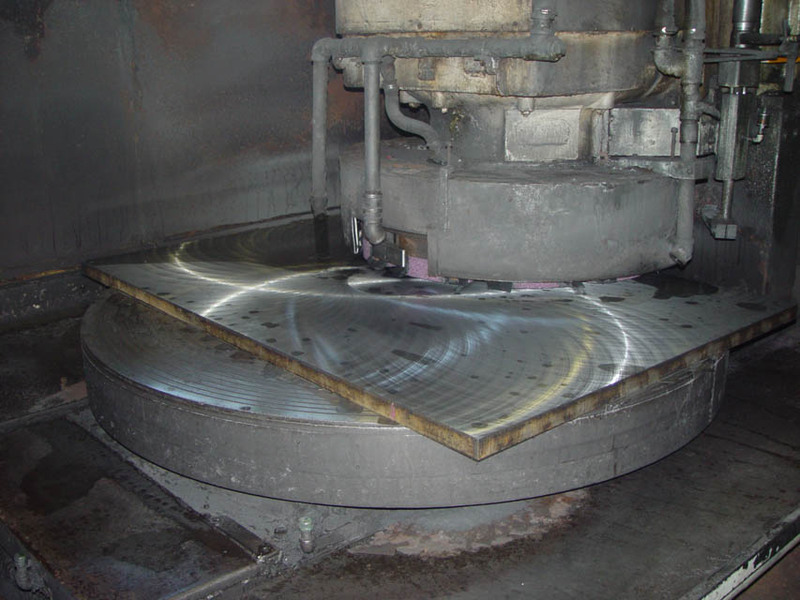 Our capabilities include grinding up to 120 inches in diameter and 60 inches in height. Our machines also have up to 300 horsepower abilities. Blanchard machines have the ability to produce 63 micro and better finishes as well as holding tolerances to .002. As can be seen in the pictures below, a Blanchard finish has a swirl type pattern. If this is not the finish you are looking for, try taking a look at our Mattison Surface Grinder finishes. At CGM getting the job done right in the most efficient way possible is our goal. We can grind a variety of different materials including exotic metals, aluminum, bronze, castings, and more recently focusing on magnetic and non-magnetic stainless steel. 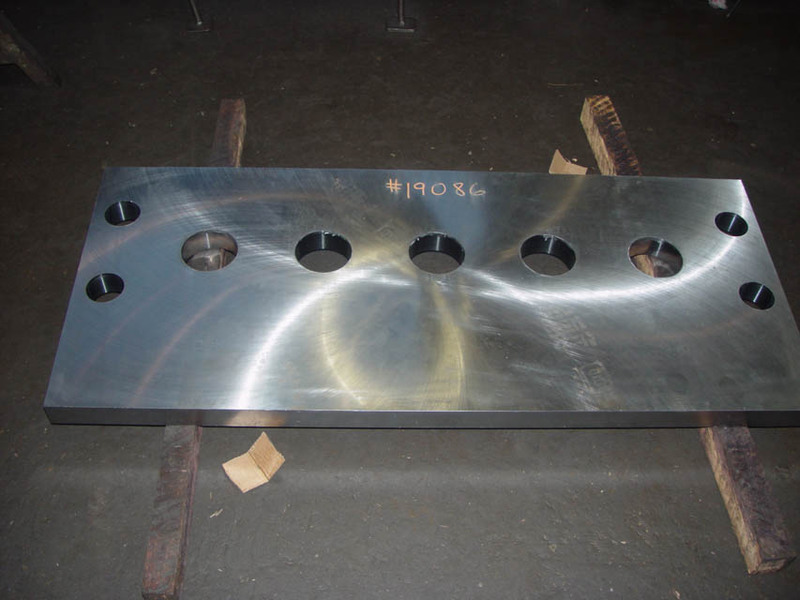 Blanchard grinding has been a staple of this company since we began, and we continue to find new and advanced ways to make the process more efficient and effective. Copyright © 2006-2009 by Chicago Grinding & Machine. All rights reserved. Revised: 28 Nov 2012 19:27:12 -0500.